The first CDMA Windows Phone handset is to be released in China by China Telecom and Nokia. 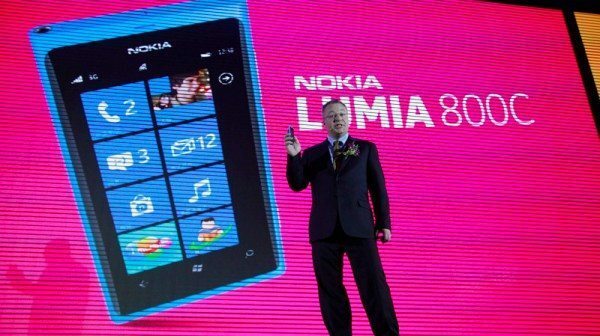 The Nokia 800C is a Lumia smartphone and is likely to be a big hit with China Telecom subscribers in the world’s largest smartphone market. With a stunning design the Nokia 800C is has been specifically tailored for China Telecom’s 3G network and as well as the Nokia 800C a CDMA variant of the Nokia Lumia 610 will also be coming to China Telecom in Q2 of this year. The Lumia 610 is aimed at being more affordable and for the youth end of the market and is another Windows Phone smartphone with the same core experiences as the other Lumia handsets. Back to the Nokia 800C though and here are some of the key specs and features of this smartphone. Beautifully designed with a 3.7-inch AMOLED ClearBlack touchscreen, a 1.4GHz processor, 8-megapixel camera with Carl Zeiss optics and HD video capture, this phone also has 16GB of internal memory plus Sky Drive storage. It’s available in black or cyan color options and has access to apps in the Windows Phone Marketplace. Nokia Maps on the Nokia 800C gives 3-dimensional maps of China and more than 190 countries across the world with local content support from Fantong, Jiepang, Ctrip, Qunar and Soufun. Nokia Drive offers personal navigation with free voice turn-by-turn navigation for more than 100 countries, free offline navigation, speed notifications and an in-car user interface while with Nokia Music users can find the latest music in a single hub experience with 12 months unlimited free music for those in mainland China. Users can also access MixRadio, a free global mobile music app. Nokia has also partnered with China Telecom to deliver a unique local experience of services aimed at young people, such as music, games, videos and reading apps on the Nokia 800C home screen. A new youth-centered sub-brand and distribution arm of China Telecom, Tianyi FlyYoung shops, will be used to target that specific market. Those who purchase Nokia Lumia phones in China will also be able to access exclusive apps and also offers for free downloads of games such as Fruit Ninja and PVZ. The Be Top initiative has also been launched by Nokia and Microsoft specifically to encourage developers to make new Windows Phone apps particularly for those in China. Nokia Lumia users in China will also be able to access Internet services such as Sina, SOHU, Tencent and Renren and paired with almost 20,000 apps available for download through Marketplace, consumers in China can benefit from a personalized and relevant experience with their smartphones. As far as price and release the Nokia 800C will be released in April at a cost of 3599 RMB without contract. It will be available from Tianyi FlyYoung, Nokia stores, top electronic stores in China such as Suning, Gome, Funtalk, D.Phone and CentreYou and also online including at 189.cn and hicdma.com. To get a closer look at the Nokia 800C check out the video below this story showing this very attractive phone. Are you in China and if so will you be purchasing the Nokia 800C Windows Phone smartphone? What has made you choose this particular handset?